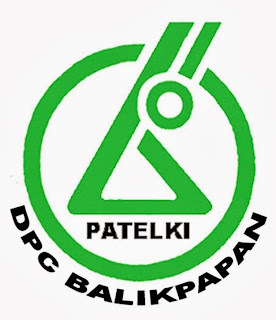 Indonesian Health Laboratory Technology Association (PATELKI) was formed on 26 April 1986 in Jakarta initiated by Drs. Sjarifuddin Djalil, who at the time was the Head of the Indonesian Center for Health Laboratories after similar associations of other ASEAN countries submitted an invitation to join the AAMLT (ASEAN Association of Medical Laboratory Technologists). The Association of Indonesian Health Laboratory Technology Experts (PATELKI) is a nationally recognized professional profession organization and international organization of medical laboratory technology for medical laboratory technology, and national professional societies for Indonesian laboratory medical professionals. PATELKI is a non-profit organization funded entirely by membership dues and revenue from goods and services. We do not accept operational funds from governments or other organizations. PATELKI members are distributed in hospital laboratories, private medical laboratories, public health laboratories, government laboratories, research and educational institutions with a membership of over 30,000 members throughout Indonesia. "To be an independent, professional, caring, and active professional organization of health analysts in improving the quality of health laboratory services for improving the quality of public health". Increase PATELKI's leadership strength in realizing professional organizations that are self-reliant, professional, and authoritative with strong networks both at home and abroad. Improve the ability of health analysts as professionals and international competitiveness. Development of Science and Technology in improving the quality of health laboratory results and services. Development of a remuneration system, rewards and professional career paths supported by a strong sustainable education system. As a container of coaching and development of members in accordance with organizational goals. As a container for the role of effort to succeed national development. As a means of communication and cooperation among members, among members with members of other similar organizations as well as between organizations and other organizations. Collect all Health Laboratory Technology Specialists throughout Indonesia to unify themselves in promoting active, focused and integrated participation for National Development. Conducting efforts and participation in the development of science and technology in the field of health laboratory both national, regional and international. Seek coaching and improve the status of health technicians as professional and national development cadres. Fostering communication and cooperation between members, and members of similar organizations. Assisting government efforts in preparing the planning and the success of the national development program. Ordinary Member: Member of SMAK graduate, AAK, AAM, Higher Education Health Analyst. Extraordinary Members: Members who have a profession to support the service of a health laboratory that claims to be a member. Honorary Members: Government officials, private, community members who are meritorious or required services to the organization.